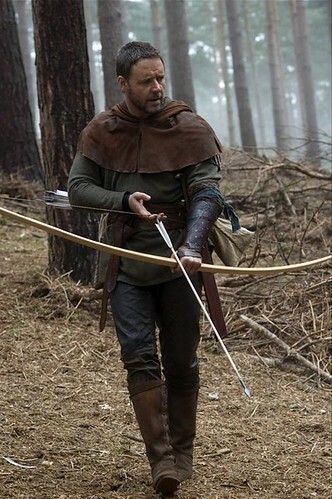 Robin Hood, starring Russell Crowe, lands in our cinema screens this May 14. But, prior to the movie’s blockbuster arrival, we can all watch real-life, in-the-flesh Robin Hoods in action. It’s called the 1st Cebu Archery Open and, from Thursday until Sunday, we’ll all be witnesses to this skillful art of propelling arrows with the use of bows. Archery, as we’ve seen in archaic movies, has been around forever. The earliest use of a bow, according to Wikipedia, dates back to 10,000 B.C. 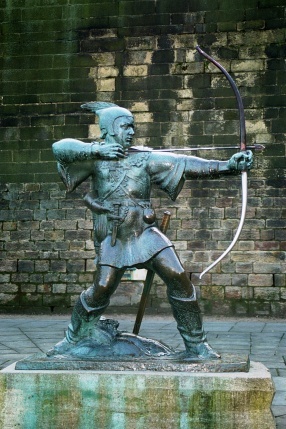 Fast forward to Robin Hood, who’s become the poster boy and heroic figure shooting a bow-and-arrow. Here in Cebu this weekend, thousands of arrows will stab the Mandaue skyline as the tournament unravels at the Aboitiz Sports Field. Dondi started archery with his son in 2004. Does his studying in La Salle, there from elementary until college, influence his passion for archery (thanks to the La Salle Green Archers)? “Of course that had an effect! The interest was always there,” said Dondi, a former president of the local alumni chapter of De La Salle University. One hundred participants? That figure has ballooned to 175 archers and the event has become the biggest in the Philippines. “We have participants from Tagbilaran, UP Los Banos, Liloan, Mandaue, Dapitan, Bacolod, Cordilleras, Manila, CDO, Dumaguete, Mandaue, Talisay, Cebu City,” said Joanna Fajardo-Salazar, who’s one of the key organizers. Dondon Sombrio is the spirit behind this tournament, says Dondi. A member of the RP Team, Dondon is the tournament director. And, to provide “celebrity status” to the event, “Actor, businessman and archer Marvin Agustin will be competing,” said Dondon, whose event is backed by San Miguel Beer, Gandiva, ScubaWorld, Simon Enterprises, Philpacific Insurance Brokers, SunStar Daily, RCTV, Boysen Paints, Metro Ayala, Islands Souvenirs, D+B Wines, Laserwriter, Aboitiz Land, Mr. Builders Construction, Benedicto College, Aboitiz Sports Field and Maya Restaurant. I’ve been searching over the web and entire Cebu looking for someone who can sell me his archery materials and can give a training? My sports interest now is archery and I want to learn. Please let me know and I would appreciate your help. Email me. 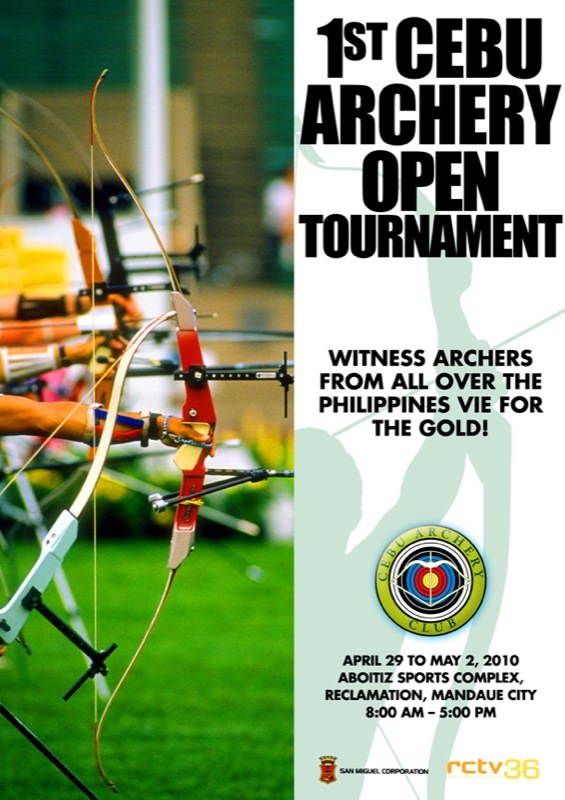 I’m from Guam and President of the Guam 3D Archery Club and I’m looking for any archery tournaments in the philippines that I can take some of our archers to compete at. If you have any dates scheduled, please let us know.